This Rita necklace has been a best seller since the day it was created and this month is no different. 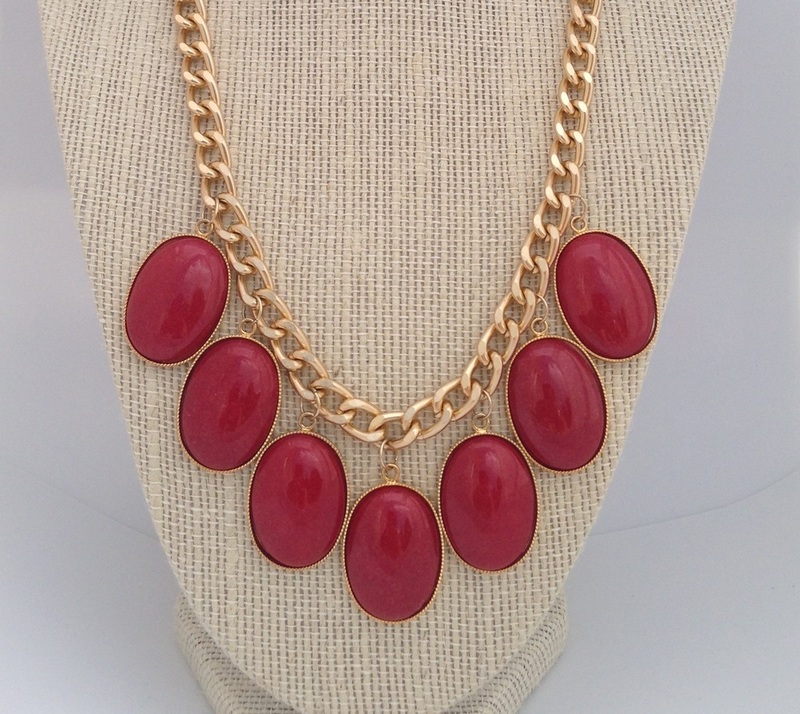 The chunk on this piece and the color is guaranteed to make a statement at your next night out. It is also available in a turquoise blue. Get yours today, only 2 are left! Enjoy 20% off your entire purchase until December 31st.